This week’s most exciting event was the annual ice cream social on Tuesday evening! 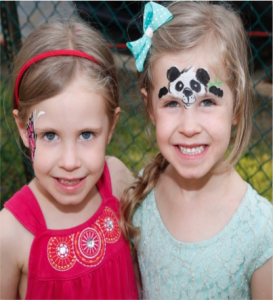 We all enjoyed face-painting, live music and ice cream in absolutely beautiful weather. The rain held out for us! It is always wonderful to see siblings who are Children’s House alumni. We hope that all the families who joined us had a fabulous evening. In future years, even after graduation, please come back and visit us during this event. It turns into a bit of a class reunion! It’s hard to believe that the school year is almost over, but we had a great time celebrating the successful school year together! Interested in your child attending? We'd love to hear what you think!